It’s no secret that many people are intimidated by the idea of their credit report. That’s certainly no reason to stick your head in the ground and hope for the best. Because reports from licenced credit bureaus are now more detailed, your actions — or inactions, whatever the case may be — can have a bigger impact on your ability to obtain credit. Before we get into how your credit report has changed, let’s talk about which parts have remained the same. Your age, date of birth, address history, driver’s licence number, and employer. Details on your borrowing agreements with your current creditors (i.e. 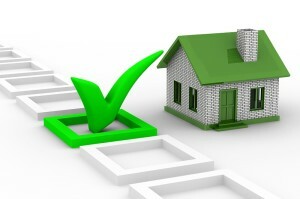 mortgage, personal loan, credit cards). 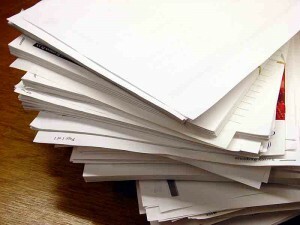 Information about previous credit checks that lenders have made. Major credit agreement infringements (i.e. payments more than 60 days overdue). Legal information made public by the courts (i.e. insolvency information, court writs and judgments, directorship information). As of March 2014, Australia switched from a Negative Credit Reporting System to a Comprehensive Credit Reporting System. This means that credit bureaus now have the option to collect more consumer credit information, and in turn credit providers can use that information when making a lending decision. Keep in mind that “option” is the operative word here — comprehensive credit reporting is an opt-in system, and not all credit providers will elect to share information. This can be a good or bad thing, depending on your behavior. If you are several weeks late on several payments, for instance, that will now be documented on your credit report. On the other hand, if you always pay your bills on time, that will be reflected, too — and your overall report could now benefit from your good behavior. Monthly repayment history on credit accounts, including whether you paid the minimum amount required on time. If a late payment was made, reports will show how late it was. Opening and closing dates for accounts. 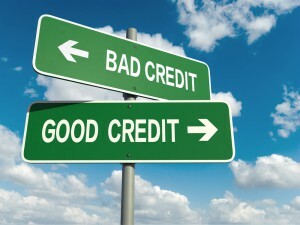 Credit limits on accounts, including whether or not you accepted a credit increase. Type of credit accounts that you hold. All Australians are allowed one free credit report per year, and you can access them more frequently by paying a fee. Recognize your weaknesses — Maybe you always forget to pay your mortgage and you end up sending in the payment a few weeks late. Or there’s one credit card that you’re struggling to pay regularly. Your report will highlight these problems. By taking action — either by setting up automatic payments, cutting up the credit card, or whatever else you have to do — you can immediately begin improving your credit report. Pinpoint serious problem areas — The “Overdue Accounts” section of your report highlights any accounts that have fallen into arrears.Lenders view defaults extremely negatively, so if you have any overdue accounts that you’ve been neglecting to pay, it’s important to recognise that and pay them right away. Look for errors — Identity theft is becoming increasingly common, and sometimes credit reporting agencies simply get bad information. That’s why it’s so imperative to make sure that the details of your credit report are correct and up to date. For debt-related errors, the credit provider is obligated to update the agencies on your status. For errors regarding personal details, get in touch with the credit reporting agency to get it corrected. A healthy credit report can take you far in today’s world, and being familiar with your report is the first step toward making it the best it can be. Take the time to study your credit report regularly, and challenge yourself to improve it every year. Believe me — your finances will thank you.